Who doesn’t want more exposure for their listing? We recently ran a survey to agents not currently using our services to inquire about what they are looking for most in a company. We also have done several past surveys with our current HomeJab customers to gauge what they truly need. It was consistent that listing exposure was on everyone’s mind. We want to make your life easier, so we came up with a solution: advertising with Waze Local. Waze is a free mobile GPS driving app and is used by 100 million people monthly. It allows users to update their driving experience with current information such as road delays, traffic, accidents, and more. This has aided in users saying the app is more reliable than Google maps. 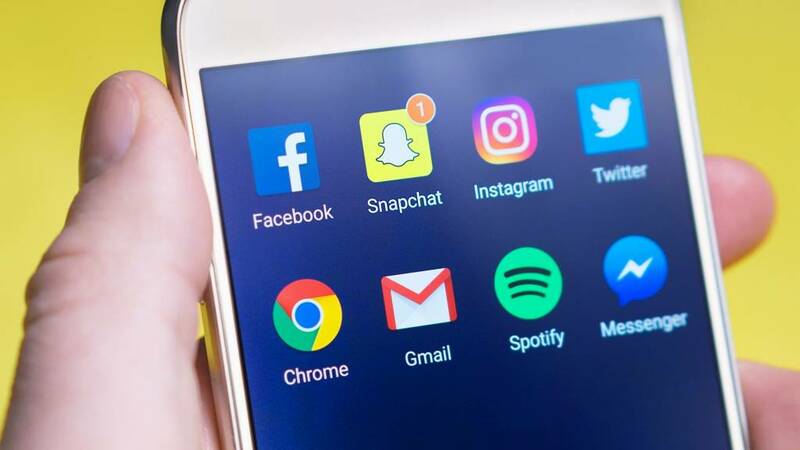 The average user spends an average of 11 hours per month on the app. This is more engagement than Snapchat and comparable to Instagram. For a limited time we are offering free advertising with Waze to new customers. How do you get this? Just sign-up! You don’t need a listing upon sign-up. There is no commitment and the advertising can be used when you are ready. Once you have a listing that you’d like the extra exposure for, simply purchase any package through HomeJab. Once you have purchased a package with us, that listing will be promoted as a gift from us to you. This means 15,000 views in a two week period. That’s 30,000 eyeballs on your listing! We will create the ad and link it back to your HomeJab property page for potential buyers to view. Waze is owned by Google. This is an extremely important detail in the role of who is seeing your ad. Waze uses data pulled from the user’s Google searches and analytics, which forms accurate suggestions to the user based on their personal preference and behaviors. This means, anyone searching for a home will have your listing shown to them. The right target audience can make all the difference. Advertising homes to the wrong audience is ineffective and a waste of your time and money. There are several ways someone can spot your listing and several bits of important information we will have on your ad. 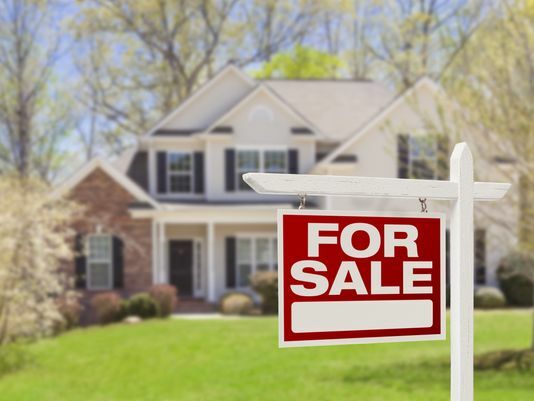 Your listing is always a ‘pinned ad’, so if someone is just browsing their route without driving or searching the area, your listing will have a small marker where it is located that will show it is a home for sale. The viewer can click this pin for more information. 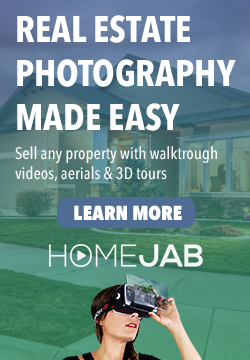 You can see our HomeJab logo pinned below. When driving, the ad will appear during any red light or stop sign as a banner ad. This banner ad shows your listing address,that the home is for sale, who is selling it, and the property price. They can quickly click this and drive to straight to the home. This banner ad also appears if they click the pin. 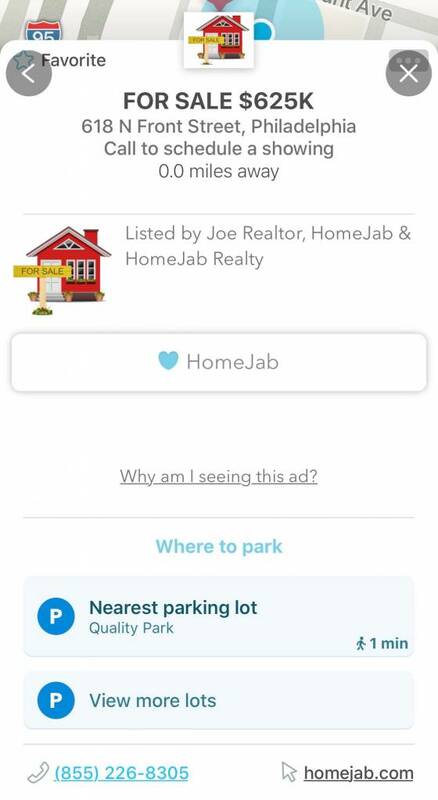 Both the pinned ad and the banner ad have a button for more info where you can list even more information such as the property page, contact information, and more. Waze advertising is more than a standard advertisement because with a quick tap on your phone you can have immediate and accurate directions to the location. This makes advertising an open house incredibly easy and beneficial. 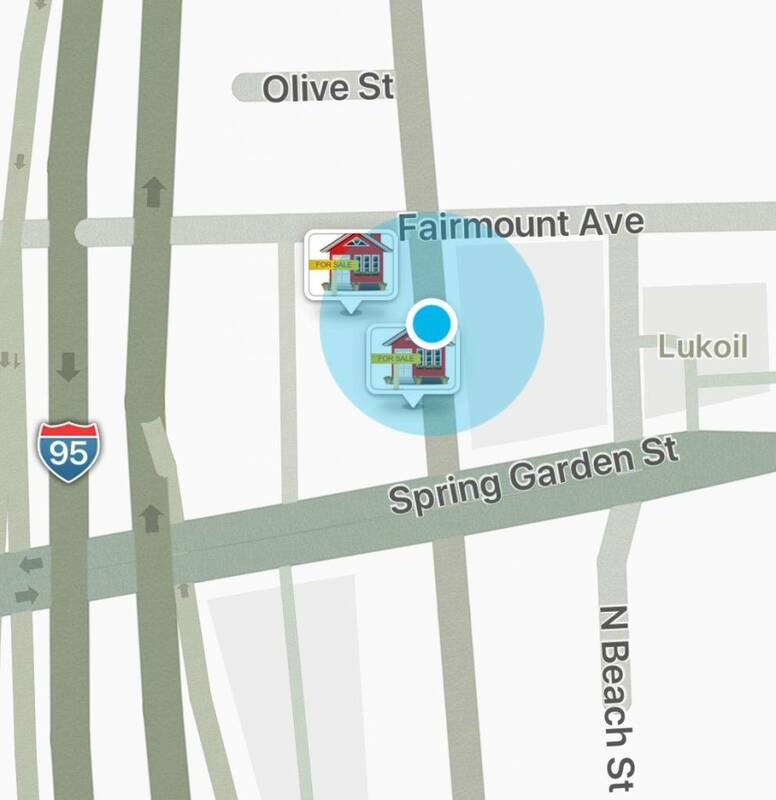 If someone is driving in the area, then your open house will appear on their screen with directions. This is a real buyer looking for a home being informed that at that exact moment, they can tour the listing. An advertisement that brings a buyer right in the door. How can you beat that? 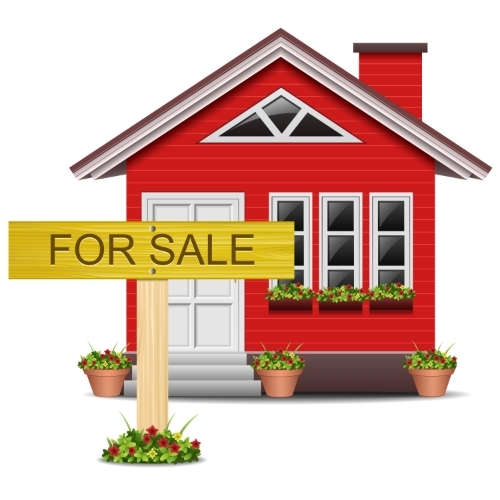 Want to get a jump start on getting your listing out there? Get your upcoming listing to garner some excitement among potential buyers and have a waiting list of tours when your listing goes live. Imagine a potential buyer leaving their preferred neighborhood after seeing a home they hated. They put Waze on to head home and a pin pops up showing them a new listing is about to hit the market and they better act fast! 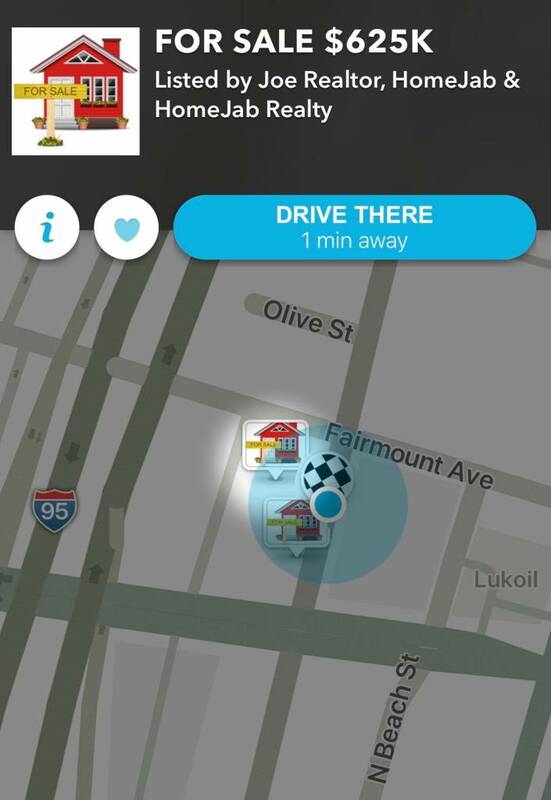 You don’t need an open house scheduled to use Waze advertising to its fullest potential. Your listing alone is worth this extra advertising. The Google analytics that are being used to target exactly who you want to see your listing is exactly why you want to get yours on here. This enables someone in the market for a home to have your listing pop up on their screen. 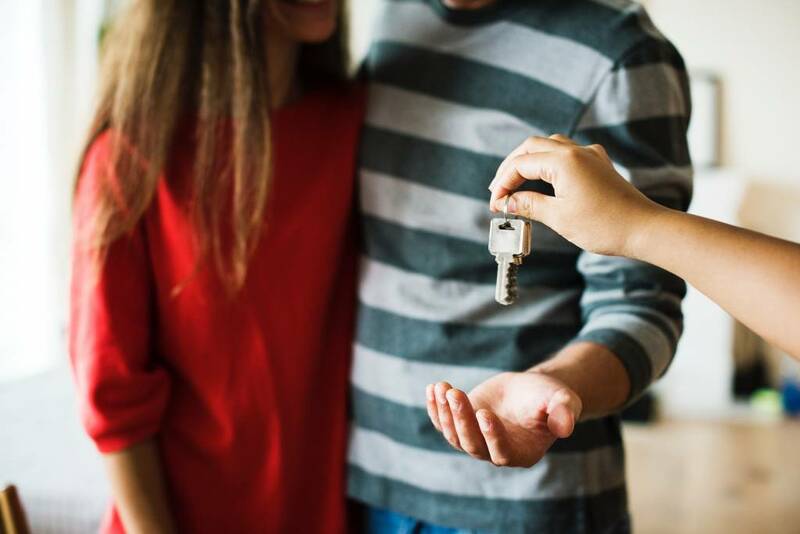 They can immediately drive by it and see the perfect exterior, the nearby park, the attached garage, or whatever makes your listing have curb appeal. They will be quick to contact their realtor to schedule a tour. Waze advertisers stated that they saw “20.4 percent more monthly navigations when they started advertising with Waze Local”. You can receive 20% more business simply for trying HomeJab out. This is a great opportunity to take advantage of before it’s gone. No extra work. No extra cost. Just more business.